This video demonstrates how to add a source, other than one from FamilySearch.org, to the FamilySearch.org Family Tree program. Sources are added to individuals and there is a way to partially automate the process by using a program called Tree Connect from RecordSeek.com. If you have any questions or suggestions for other Quick Views on Genealogy, please leave a comment below. Tomorrow the Mesa FamilySearch Library will be presenting another in its series of live, online webinars. I will be presenting this weeks webinar on an "Introduction of Online Genealogical Resources." This free series of webinars will continue each Wednesday evening in May at 7:00 pm. You can attend in person at the Training Center Auditorium on 464 E. 1st Avenue in Mesa. Parking is at a premium so you might want to park at the Mesa FamilySearch Library and walk over a block to the Training Center. Hope to see you there. Shortly after the presentation, the webinar recording will be posted on the Mesa FamilySearch Library website. Cambridge, MA — The Digital Public Library of America is pleased to announce it is partnering with the David Rumsey Map Collection to provide online access to tens of thousands of significant historical maps and images. As part of the relationship, David Rumsey will provide metadata for over 38,000 maps and images, making the entirety of his notable online collection instantly accessible via the DPLA website and API­. In 2009, Rumsey committed to donating his entire collection – both physical and digital – to Stanford University, which is currently creating an all-new Map Center to house it. Rumsey’s online collection of maps is free to the public and is updated monthly. All of the online maps are searchable via the DPLA. The David Rumsey Map Collection was started over 25 years ago and contains more than 150,000 maps. The collection focuses on rare 18th and 19th century maps of North and South America, although it also has maps of the World, Asia, Africa, Europe, and Oceania. The collection includes atlases, wall maps, globes, school geographies, pocket maps, books of exploration, maritime charts, and a variety of cartographic materials including pocket, wall, children’s, and manuscript maps. Items range in date from about 1700 to 1950s. More information is online at http://www.davidrumsey.com/about/about. Can you recommend a place to seek advice on breaking through brickwalls of the more recent (19th century) variety? I have a "brickwall" for which I've gathered some interesting evidence, but the evidence suggests a possible unmarried, interracial relationship between a white female from a fairly well-off, well-known family and a seemingly poor black male in 1870's rural Georgia. Anything is possible, of course, but this seems unlikely considering the social conditions of the time. Also, the children are always described as white, never mulatto. There are a few other unexplained oddities, too. Although the details are not set forth in the question, there are a number of responses possible. As the commentator notes, unlikely is not impossible. One suggestion, that is also very unlikely to happen, is to put together a DNA study of the descendants of the alleged relationship and see if genetic markers indicate a black racial heritage. This may or may not be possible given the availability and social attitude of the putative descendants. You might note from my earlier comments that I acknowledged that out-of-wedlock situations can be an end-of-line issue as far as identifying the father and if the child was put up for adoption, raised as the legitimate child of the grandparents or others, or left as a foundling for foster care, there may be no clear path to solve the lack of information. The commentator refers to some "other unexplained oddities." These additional facts may be the key to whether or not a solution is available for this "situation." This is the type of incident that needs to extend the research to both the immediate family and to the surrounding family members and neighbors. Because of the time period involved and the possibility that the situation was the subject of comments by family members and acquaintances in letters or even newspaper articles, this type of information should be carefully sought. The commentator does not identify the county in Georgia, but a quick look at the Library of Congress Newspaper Project shows 861 newspapers published in Georgia during the 1860 to 1880 time period. The researcher doesn't indicate whether or not any of these newspapers have been searched. I would think that the first level of research would concentrate on the child or children who supposedly came from the union and were "described as white." I would consult school, church and other records about the child or children to see if there is anything indicating a race issue. It is always helpful to look to alternate birth record sources also. In this instance, I would carefully review all of the records available. See Georgia Vital Records in the FamilySearch Research Wiki for a start. I would also review United States Birth Records and United States, How to Use Birth Records for further suggestions about how to proceed. For some general instructions, also see United States, How to Find Genealogy Records. Another Research Wiki article that might help is How to Find Birth Information in the United States. This last link contains a long list of alternative sources for finding birth information all of which possibly apply to this situation. If you do decide to use a professional researcher for assistance, I would suggest reviewing the FamilySearch Research Wiki article on Hiring a Professional Researcher. The commentator did not indicate whether or not he lived in or near Georgia. The distance the researcher lives from the source area may also be an issue. The types of records likely to have information helpful for solving this situation are not likely to be on Ancestry.com or FamilySearch.org. I am sure that more suggestions would occur to me if I spent some time looking at Georgia records, but what I have written above will give you some places to start. I have lived in Mesa in two different houses less than two miles appart for the past 34 years or so and when asked where I am from, I still say I am from a small town in Eastern Arizona. A town I haven't visited for years. Where we are from is more a matter of emotion than reality. 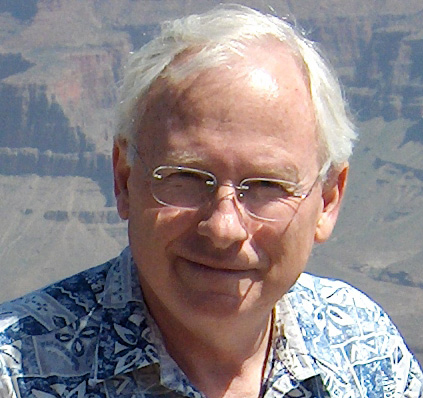 I still feel "home" on the high, windy Colorado Plateau despite my years upon years in Arizona Sonora Desert and I wasn't even born in Arizona! From time to time, my children, who lived most of their grown lives all over the United States and other countries, on occasion, still talk about being from Arizona. It is irrational to feel home in a place where the wind blows 360 days out of the year and the summers are over 100 degrees and the winters drop to 40 degrees below zero. I think this whole thing called genealogy is really nothing more than trying to find your way back home. Where we live is inconsequential. We feel at home where our ancestors lived and died. Home is where our "people" are buried and where they were born. We spend our whole lives trying to discover this place called home and only find it when it is too late to really understand why. Home isn't really place, it is a tradition and yes, a story. I get the same feeling looking at the water-washed rock with the carved date of 1620 that I get standing in the wind watching a thunderstorm move north from the mountains across the barren hills of the Plateau. I got the same feeling standing and looking at the empty ruins of my Great-great Grandfather's house in Nauvoo, Illinois, although I have never lived there. What I had in Plymouth or in Nauvoo was a direct connection to my ancient past. I get the feeling driving around the edge of the mountains when I can see the Wasatch Front and Mount Timpanogos in the late afternoon sun. Realizing that my ancestors for generations saw exactly the same view. As I think about it, it isn't really a sense of place so much as a sense of time and experience. Learning about my past and that of my family is not so much of an avocation, as it is a compulsion. I recently got the exact same feeling walking into the Family History Library, like I was coming home, not to a place, but to a feeling of a place. I think the time spent in libraries is subtracted from the time you have on earth to live, especially the Family History Library. So why don't I spend all my time doing research and stop writing and teaching? Both of these are compulsions also. Somewhat competing compulsions, but compulsions none the less. Well, its time to stop dreaming about standing in the wind and watching the clouds and get back to work. It has been a while since I published any of the hundreds of mystery photos I have in the huge Overson Photograph Collection. The photos were taken between about 1900 and 1940 in St. Johns, Apache, Arizona by Margaret Godfrey Jarvis Overson. Take a look and see if you recognize anyone. Differently spelled names are presumed to identify the same person if they sound alike, or if their sounds cannot be distinguished easily, or if common usage by corruption or abbreviation has made their pronunciation identical. If this is good enough for law, why isn't it good enough for some genealogical researchers? I am still getting people who are hung up in their research because the "Names aren't spelled the same." It is long past the time to move on from this position and realize that names can be spelled different ways. The U.S. National Archives Experience Digital Vaults ... offers students a good introduction to discovering and working with primary source materials. Rather than turning kids loose on millions of records in the National Archives, Digital Vaults focuses on a curated collection of 1,200 items. Within the site, there are activities designed to help students discover important connections between primary sources. One section, Pathways Challenges, provides quizzes that ask kids to analyze a specific resource and then find the related document within the collection. Teachers and students can create their own quizzes or take advantage of the premade challenges. 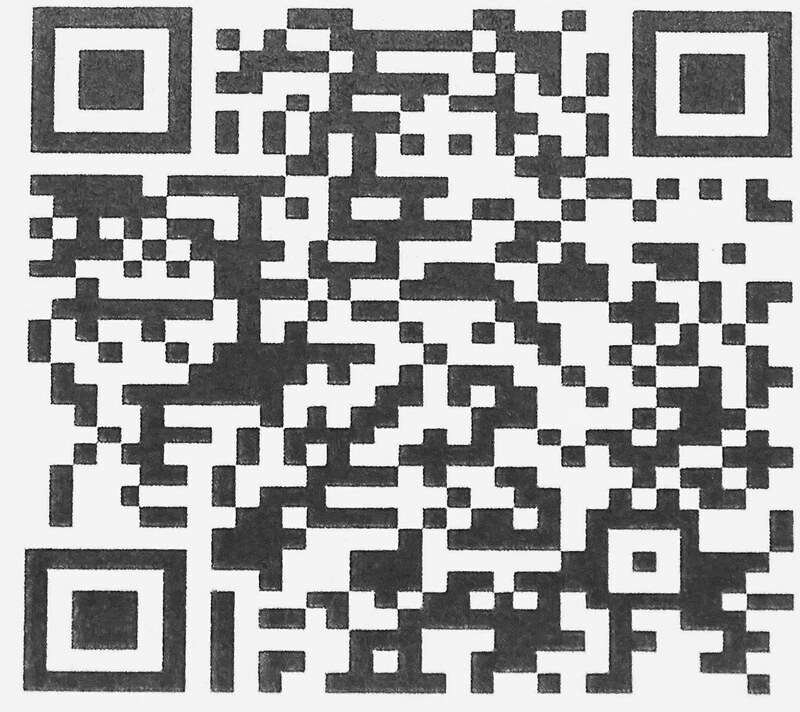 Students who create free Digital Vaults accounts can collect primary source documents and images and use them to create digital posters and videos within the available templates. From American Libraries, the magazine of the American Library Association an article entitled, "Simon & Schuster Launches Library Ebook Pilot"
From the United States House of Representatives, Committee on the Judiciary, an announcement of a comprehensive overhaul of the copyright law. See Chairman Goodlatte Announces Comprehensive Review of Copyright Law. Dated 24 April 2013, Today House Judiciary Committee Chairman Bob Goodlatte (R-Va.) announced that the Judiciary Committee will conduct a comprehensive review of U.S. copyright law over the coming months. This announcement was made before the World Intellectual Property Day celebration at the Library of Congress. I hear the term "brick wall" used frequently in my contacts with other genealogical researchers. But I am certain that, in most cases, the term is used inappropriately and has lost any real meaning. I find that what is called a brick wall is often no more than a bump in the road. So how do we get out of this "brick wall" mentality? Before starting into a discussion of methods or lists of ways to break through brick walls, it is probably a good idea to set down rules to determine if such a situation actually exists. The question to ask is, what are the ultimate limits of genealogy? If you fail to find your ancestor after a half hour online search, have you "hit a brick wall" or merely have no real research plan for finding ancestors? Yes, I do hear the term used in that context. Fundamentally, as genealogists, we have to recognize two competing situations; first, that there are physical and temporal limits to the availability of source documentation and second, that there are an overwhelming number of source records most of which you aren't going to know about. It is the dichotomy between an abundance of records and the physical and temporal limits accessing those records that give us the concept of brick walls. In fact, the contradictory record situation creates the opportunity for extended research beyond the superficial half hour search online. For example, the General Society of Mayflower Descendants has been in existence since 1897 and its members and other have spent thousands of hours and probably large sums of money searching for genealogical information about the 102 Mayflower passengers. Despite that concentrated effort, most of the Mayflower passengers' parents, birth dates and other historical information has defied identification. There are some absolute limits to the availability of records. On the other hand, persistent effort by the Society and others has produced relatively recent breakthroughs in identifying the spouses of the Mayflower passengers and their some of their previously unknown ancestors. If I were to draw a graph showing a timeline from the present, back into the past, the slope of the graph would show a steady decline in the number and availability of written records going into the past from which genealogical data can be obtained. The slope of the graph would vary according to any particular geographic location, but essentially, there comes a time in the past when any further searching for records in any particular location turns into archeology rather than history. But when is there really a lack of records and when is the situation, instead, merely a lack of knowledge of existing records or a failure to adequately search the existing records? That is the question. There are particular circumstances, such as foundlings, adoption, births out of wedlock and other circumstances that may limit the availability of records in any particular case, but usually I hear brick wall complaints about ancestors that otherwise lived during time periods when written records are still available. I have found, through experience, that most, far more than half, of all the so-called brick walls I have been told about are really a failure to search all of the available records or a problem of searching in the wrong place. I was recently shown a brick wall, which I may have mentioned previously, where the date for the ancestor's birth turned out to be well before either the town or county listed had been settled or formed. This kind of occurrence makes me believe that the person is not using the term brick wall in any accurate way. If my brief research shows that both the town and county being searched did not exist at the time, then what have the other researchers been looking for all this time? My Mayflower ancestors could accurately be considered a brick wall situation. All of the years of searching records in England and Holland have yet to produce parentage or birth dates for either Francis Cooke or Richard Warren. But do we have to go to that extent? Doesn't declaring a brick wall take something less that a hundred years of research? But what is the effect of declaring some research situation a "brick wall." Isn't that in a sense a defeatist attitude? Perhaps not, if we seek help and acknowledge our need to go to someone with more experience and resources. But my point here is that most of those situations that have been presented to me are not really end-of-line issues. Perhaps a better way of looking at these situations is an opportunity to learn more about the family we are looking for. One of the things I monitor regularly is the cost of purchasing hard drives, flash drives and other methods of backing up my computer data. As technology advances in the area of data storage, the incremental cost of backing up the data or information on your computer's internal hard drive has dropped precipitously. As CDs and DVDs have fallen in favor as a reliable data storage medium, hard drives continue as the cheapest and most reliable choice. But flash memory in the form of flash drives and larger flash storage devices are rapidly becoming a viable option depending on the total amount of storage needed. It is not that long ago that storage was measured in Megabytes not Gigabytes. Now, the standard has moved to TeraByte hard drives. A Terabyte (TB) is 1000 Gigabytes. Not long ago, 1 TB hard drive was expensive and uncommon. Now, they are the mainstay of the hard drive market. But recently, the 3 TB hard drive has become the "best deal." Current prices for a 1 TB hard drive run around $80 to $90, but a 3 TB hard drive can be purchased for around $120. Three times the capacity for about a 50% increase in price. We are going through the now, very familiar technology cycle where a product is expensive and hard to find, becomes common, the price drops and then it is replaced by another product even faster, larger, smaller or whatever. Looking ahead, 4 TB hard drives are already on the market and their price is falling fast. Right now they are about $179 online but have yet to show up in the mass merchandise market such as Walmart and Costco. So, the 3 TB hard drives run about $40 a TB and the 4 TB hard drives are a little more expensive at $45 a TB. But they are both much less expensive per TB than the 1 TB hard drives. What we are seeing here is the cost of manufacture, packaging and distribution are pretty much a constant. As the demand for the larger drives continues, the price will come down to those somewhat fixed costs. There are even larger hard drives on the market. However, a 6 TB hard drive (they skip 5 TB hard drives) runs about $390 or so. Not yet in the price sink hole of technology. At that level, there are several RAID offerings (usually 3 - 2 TB hard drives hooked together) for about the same price. Additionally, the 6 TB hard drives are fairly large and heavy compared to the 3 and 4 TB drives. The next higher level of storage is measured in Petabytes or 1000 Terabytes. But because of market forces and the ever advancing technology, we are unlikely to see spinning media hard drives get too much larger, ever. But the next level is already under development and we can already see the end of spinning media hard drives in the not-too-distant future. What is next? Flash memory drives. Not just little flash drives, but the kind of flash memory drives now being sold at a premium with laptops and most tablet computers. This type of memory has no moving parts, is more reliable than hard drives and less likely to get damaged from external causes. But right now, it is expensive. The largest commonly available flash memory drive is topping out right now at about 256 GB and the price is about $130 or so. There are larger drives available but a 480 GB drive is running about $400. 1 TB flash drives have been announced by some manufacturers and as they become available and the price comes way down, they will inevitably replace spinning media hard drives which will then go the way of floppy disks and CDs for storage. How does all that compare to using an online service to store your data? Well, if you wanted to store 3 TB of data online, you will find that online storage is competitive to very expensive depending on the supplier. But that is another story for another time. I do not recommend relying solely on online storage for the same reasons I don't recommend relying solely on any one type of storage. I use multiple hard drives at multiple locations. Here's another in my series of Quick Views of Genealogy. 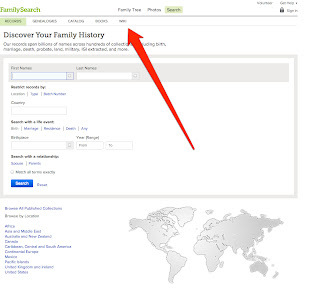 This one is on attaching sources to FamilySearch.org's Family Tree from FamilySearch.org. I will do another video on attaching sources from websites other than FamilySearch.org in the near future. If you would like to suggest a topic, please feel free to do so as a comment to this post. I have a list of topics that I will be trying to do as time permits, but suggestions are always welcome. Using pedigree charts, fan charts, family group records and other forms are ubiquitous in genealogical research. But the inherent structure of these forms is not just a convenience. In many instances, the way the information is displayed hinders, rather than assists the research process. The reasons for this hinderance are fairly complex and involve a preconceived bias towards a singe kinship system based on the English/Western European model. Because genealogists have been given these specific forms for so many years, the forms are used without question and have become the standard basis for most commercial genealogy programs. Some may ask, "Why not take notes directly onto family group sheets?" This is a very unwise practice for a number of reasons. First, the family group sheet does not always allow for all the information contained in the original records. For example, there may be no place to put the information about padrinos (godparents)and where they are from. The other reason, perhaps more important, is that part of the value of the original records comes in recognizing the relationship between the various items of information given, and the date on which they were entered. This issue is not confined to those people with Hispanic roots, many cultures around the world have the same issues. In my own heritage, many of my ancestors practiced plural marriage. The standard family group sheet is entirely inadequate to even acknowledge those relationships. Likewise the actual structure of a polygamous marriage is obscured by the standard pedigree chart since there is no way to differentiate between plural marriage and serial marriage except through careful examination of the dates of the marriages and the birth dates of the children. This issue extends to any other culture where the kinship tradition is outside the "standard" Western European model. Why is this important? Primarily because the types of information recorded and analyzed by most researchers is confined to the format of the forms they use to gather information. Using the standard forms confines the researcher to one particular world view and thereby automatically eliminates much useful and necessary information about the family. I am guessing that many of the so-called "brick wall" type problems can be attributed to this narrow view of the family and its associations and the myopic focus on inadequate forms. 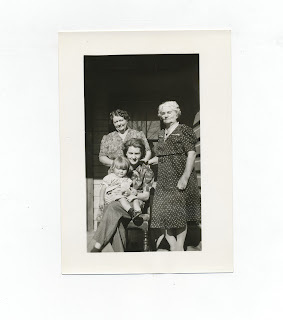 Presently, there is a huge push to add "stories and photos" to the family record. The primary impetus for this movement is the involvement of the youth in genealogy and to ostensibly increase involvement in family history research. But the current format of the standard forms works against this type of additional information. For example, in the standard pedigree model as used by FamilySearch.org's Family Tree, there is nothing indicating the existence of any stories or photographs about the family. That information is limited to tabs on individuals. Without looking at each individual in a family, and in my case that can be almost a hundred individuals, you cannot tell if any of them have stories or photos. FamilySearch is certainly not alone in this limitation. Although most contemporary program allow photos and stories to be attached to an individual, most, if not all, focus on the individual and not on the greater family structure. In most case, the link to the to photo or story must be added to each individual in the family without regard to the greater family structure and there is no way to focus on a family unit, as such, to see all the photos and stories attached to the individuals within the family. The effect of the standard format and forms is to isolate the individual from the family structure (including godparents and other relationships) and focus on a very narrow set of preserved records. If there are or were any stories or photographs the use of pedigree charts and family group records have obscured their existence for decades. Of course there are no records that are truly individual in nature, all human records ultimately lead to the family and then on to the kinship systems and the greater cultural environment. By focusing on only a small sub-set of this information, the genealogists are losing the exact information needed to do what they are apparently trying to do; preserve the family's heritage. Back on February 28, 2011, I wrote a very brief post entitled "Quick Correction on last post on New FamilySearch." Remarkably, that one post has had over 26,000 visits over the years. The point raised in the post has long since become entirely irrelevant to anything going on today, so what is the huge draw of this post? Nothing else I have written has come close to the popularity of this short three paragraph post. If I could duplicate the draw of that one post, I might be rich and famous! But analyzing those three paragraphs has proved unproductive. Wait a minute being both rich and famous has its definite drawbacks especially if you are a genealogical blogger where neither is particularly possible. I always say, being a famous genealogy blogger is sort-of like being the mayor of Nutrioso, Arizona (for those of you unacquainted with the Nutrioso Megaplex it has a recent population of 269). Oh, this is not to say that the mayor of Nutrioso isn't an important job (if there is one). I don't want to offend public officials (like I do everyone else). I guess the vagaries of popularity have completely escaped me. I wake up thinking, what did I say in that one post to make it so popular? Should I start using the word "correction" in every blog post? It couldn't be the reference to either New.FamilySearch.org or FamilySearch since I seem to write about both regularly. Maybe it was my assumed humility in making a "quick correction." Perhaps I should start making intentional mistakes so that I can then quickly correct my way to popularity? At this point it is probably entirely impossible to say anything remotely serious, but there is a real issue here. As I look at what I write, it seems that there is no rhyme or reason to why one blog post has a spectacular appeal and the next one barely scrapes up someone to click on it. I guess I could chalk it up to inconsistency, mine not yours. 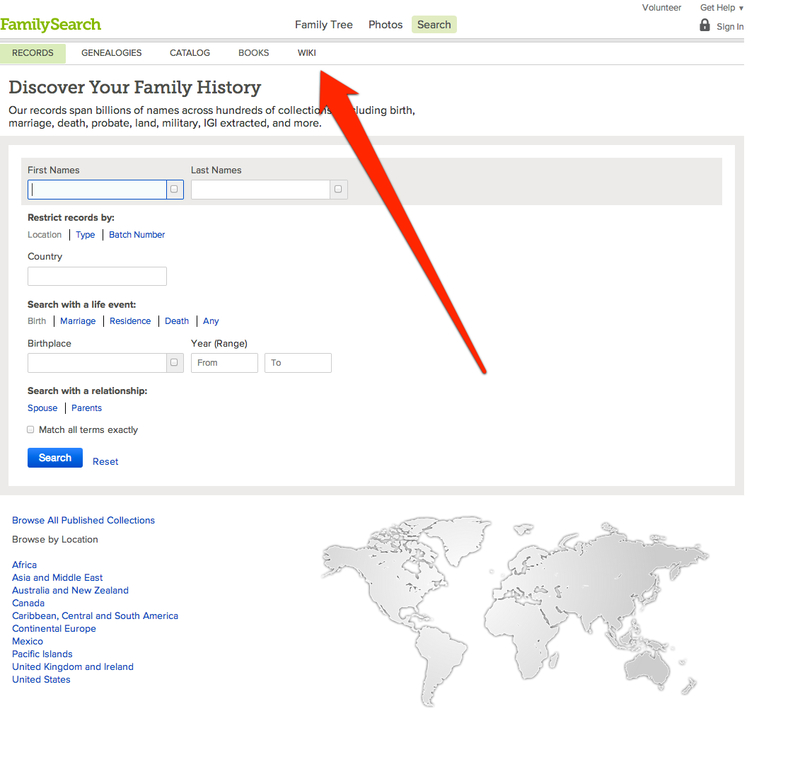 OK, if you have been wondering, the old popular blog post referred to a link to find out what was new on New.FamilySearch.org. Well, since they stopped updating the program in December of 2010 the issue is and was moot, although I did not know it at the time. Genealogical Records -- What is and what is not online? Many researchers seem to assume that all the records they need are already online. This is extremely far from the truth. There are whole classes of records that are not only unavailable online, but the original copies are difficult to locate and research. For example, despite the huge number of newspapers online, there are still significant numbers of smaller, local newspapers that, if they are available, are only available in state libraries, historical societies and other repositories. Although it may be hard to find a book that hasn't been catalogued online, although digitized, due to the copyright law, most of them are yet unavailable online in digital format. There are a huge number of cemetery records waiting to be digitized. Although inroads have been made in recording gravemarkers online, there are a huge number of other cemetery records waiting to be digitized. You can say the same for mortuary records, insurance records, employment records and a myriad of other types of records sitting around in boxes and file cabinets. Although some small efforts have been made to capture these records and make digital copies available, there are no large scale organized efforts aimed at smaller, localized collections. FamilySearch has indicated some interest in preserving smaller collections but the details of how this is to be accomplished have yet to be worked out. Likewise, there are some notable first-time efforts to incorporate smaller collections by companies such a Mocavo.com. Mocavo.com offers free scanning of historical and genealogical documents and then puts them online to share with the genealogical community. One drawback of the project seems to be the requirement that the documents be shipped to Macavo.com for processing. Not only would many people hesitate to send one-of-kind documents off for processing, the types of records that can be processed are limited to those that are amenable to shipment. Additionally, as with all online scanning projects, there is a concern about the future of the documents online from a digital preservation standpoint. However, if it is a case where the documents are going to be destroyed or thrown away, Mocavo.com may be providing one of the few ways the documents can be preserved and hosted online. Of course there are perhaps thousands of genealogists around the world that are involved in digitizing all or part of their personal records. The issue is how these records are going to become publicly available to the greater community. At the core of the problem in integrating smaller scanning projects into larger online collections is the issue of standardization of file formats and scanning parameters. Most larger online repositories of digitized records have some pretty strict standards for accepting images. It is unlikely that repositories are going to lower their standards merely to accommodate private or volunteer scanning efforts. It will be up to those doing the scanning to make sure that their output is acceptable and meets the repository's standards. For example, some repositories do not accept color images. However, stripping the color from scanned images may destroy some of the more useful data in the images. There are also issues with the resolution, contrast, uniform lighting, cropping issues and many other considerations. There will not be a way to incorporate the vast number of smaller and less accessible collections as long as these issues remain unresolved. Whether or not a particular repository can accept the images may also become a political and legal issue. The document custodians may resent the fact that they are "losing control" of their collections by allowing donated, unsolicited material into the collections. There are also cataloguing and indexing issues. Who will spend the time to catalog a collection of personal letters or family photographs and who will bear the expense of doing so? Economic considerations also come into play when you factor in the cost of scanning, handling, indexing or cataloging and ultimately storing and making the smaller collections available online. These issues alone may limit some collections from ever being hosted in publicly maintained collections. Let's suppose I have a huge collection of digitized documents that includes letters, photographs, certificates and documents of all kinds (such as the one I do have consisting of 2.3 TB). What are my options? Is it at all practical for my to create my own online repository? How could that be funded, especially if I were to pass on or otherwise be unable to pay for the maintenance? Without addressing and resolving the issues I previously raised, it is unlike that the online resources would survive my demise. Presently, the types of collections that are attractive to the entities that have the resources to preserve the records is quite narrow and usually based on a subject evaluation of the historical importance of the records. I continue to search for alternatives and solutions to these problems mainly because of my personal huge time and energy involvement in the process for the last thirty or so years. During the past few months, I have been making some very public statements about MyHeritage. Subsequent to my presentations at the St. George Family History Expo and most recently as a keynote speaker at RootsTech 2013, watch the keynote here, fast forward to minute 31:28 in the video. I had several questions and comments from attendees. In addition, I was invited by MyHeritage to team up with them in making a special offer to my blog readers. Because of this, I felt it necessary to clearly state my experience with MyHeritage. There are several reasons why I have decided that they deserve a much higher profile than they have in the past. This blog post is intended to explain my personal opinions regarding the programs. I have been using MyHeritage for the past three or four years. During the past two years, MyHeritage has dramatically increased both its online family trees and has acquired a large amount of genealogical source content through the purchase of WorldVitalRecords.com. 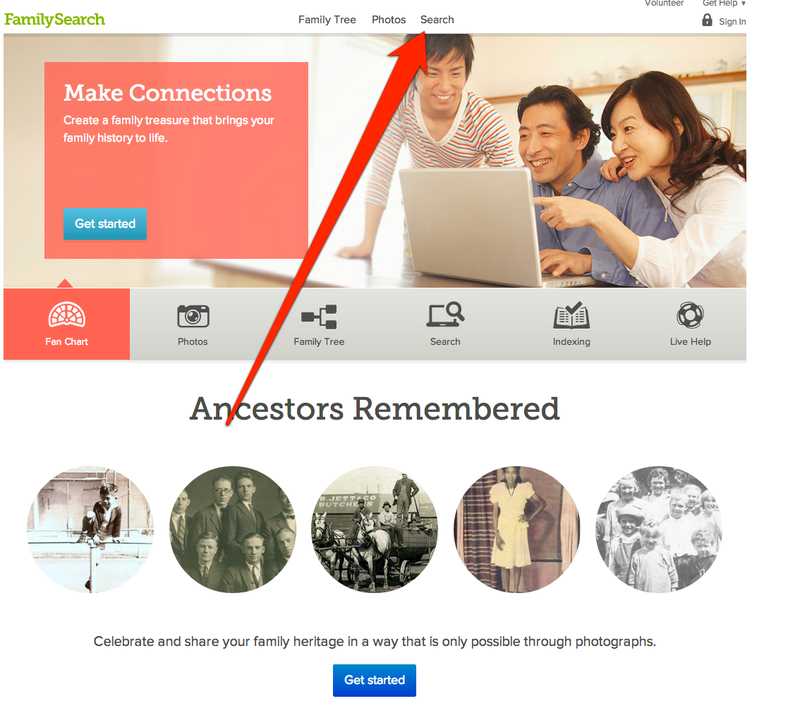 Since that acquisition, MyHeritage has also introduced its Record Match capability. This allows those who upload their family tree to MyHeritage.com to have automatic searches made of the records, also available as a MyHeritage Data plan, and other sources associated with MyHeritage. At the same time, MyHeritage has significantly increased the record content and improved the search capabilities. Although this type of service has previously been available from Ancestry.com, MyHeritage takes automatic record searching to an entirely new level. For example, I have my family tree on Ancestry.com and presently I have 742 “green leaves” waiting for me to process. My experience is that a significant number of these source suggestions from Ancestry.com are “false positives,” that is, they are for people to whom I am not related: my guess is more than half. On the other hand, I also have my family tree on MyHeritage.com and with the Record Match capability; I presently have 2,400 Record Matches waiting for me to process on MyHeritage. Significantly, nearly all, probably more than 95% of these are actually people in my family tree. I have found these records to be extremely valuable. For example, MyHeritage’s Record Match has found over 400 matches to FindAGrave.com to people in my family tree. To me, this alone is worth the cost of a subscription. I am not trying to discourage anyone from using or subscribing to Ancestry.com. I am merely pointing out that there is now a viable and useful alternative. With its constant addition of new records MyHeritage.com will only get more and more useful as time goes on. At Rootstech we learned that the entire US Census Collection will be available through MyHeritage in the coming weeks! I am very excited to see the record matches in my tree come to life with this new important update. One of the major factors in my positive experiences with MyHeritage is the responsiveness of the owners and staff. Any questions I have had concerning either program has been promptly and courteously answered and this was the case even before my blog became popular. 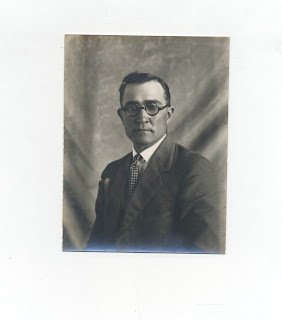 Because of my comments and suggestions about both programs, which I had been using on my personal computer and through the free access to WorldVitalRecords.com at the Mesa FamilySearch Library, MyHeritage recently offered me complimentary access to both programs. I should also mention that for over a year, I also had complimentary access to Ancestry.com. MyHeritage is not a replacement for, but a supplement to a subscription to Ancestry.com. They have different records and both are extremely valuable. But because of the high visibility of Ancestry.com and the lower visibility of MyHeritage, I have felt it is important to educate those who read my blog and attend my classes as to the relative merits of the two companies’ programs and the huge strides MyHeritage has made recently. Since MyHeritage.com started in Eastern Europe and the Middle East, it has a huge user base in those countries compared to other online family tree programs. It has since spread around the world, not just in English speaking countries. If you look at their map of the MyHeritage users, you will see how valuable this service can be if any of your ancestors came from countries other than those where English is predominant. MyHeritage matches people in your family tree with those in the entire database and suggests relevant records. Expanding this capability to the countries where your ancestors originated is a valuable asset. In addition, MyHeritage has a free genealogical database program for your personal computer called Family Tree Builder available for Windows operating system, which allows you to create a family tree and optionally upload your information to your online family tree. Ancestry.com also has its own programs for your personal use for both the Apple and Windows operating systems called Family Tree Maker. However, the Ancestry.com programs are not free. For these reasons, I have strongly encouraged my readers and the attendees at my presentations to consider MyHeritage.com as well as Ancestry.com. If you have any questions about my relationship with any entities mentioned in this blog, please see my Disclosures and Disclaimers page linked in the heading. The recent webinar on the FamilySearch.org Research Wiki is now available online on the website for the Mesa FamilySearch Library. The way I do my genealogical research has certainly evolved from the days of microfilm and photocopies. But it is a fact of life that the current technological changes will dramatically affect the way I do my research and record my findings in the near future. I guess we all come to the point of wondering if we will live long enough to see the technology we see coming in the future. One thing we do know, if we look around things will have changed since yesterday. I started to think about some of the technology that is just now becoming available and how it will likely affect me and the genealogical community. I think this must be the number one trend in genealogy that will have the largest effect on me and my work and I assume everyone else is feeling the importance of this change also. Despite the seemingly significant problems that need to be resolved before online materials are universally available, the quantity of useful material going online every day is almost overwhelming. At one time in the recent past, new online collections of records were noteworthy, today, millions of new records go online almost unnoticed. New records online are no longer news, they are every day occurrences. But the impact on my research is significant. I certainly acknowledge that there is still a long way to go before many of the valuable local and hard-to-find records are digitized, but the impact of the vast online collections cannot be overstated. Having huge digitized collections of books and records is meaningless unless those records are easily available. The expansion of the public and private library distribution networks to include more and more valuable resources enables those who cannot afford to travel or pay the expense of purchasing digitized media, the opportunity to check those items out of a library for use, just as has been the case with physical book collections for many, many years. As the online collections grow and start to include more reference and lower circulation items, we will all be using our computers and tablets to "go to the library" in the not-too-distant future. In just the last year in the genealogical community, we have seen a proliferation of online classes, webinars, webcasts and YouTube videos dealing with all sorts of both general and technical subjects. I cannot predict the impact of the availability of online instruction but I do see it changing the way conferences and seminars are held. I do not think there is a substitute for in-person teaching, but that sort of instruction may become rare or more centralized. RootsTech 2014, if it is broadcast to over 600 locations world-wide, may be the turning point for this type of conference. There are social and networking reasons for attending conferences in person, but the need to go to a conference to obtain high-quality training is evaporating through technological advances. The impact of online training will ultimately obviate the need for some types of schools and training facilities. Right now, there are free classes online that will give you a complete grade school and high school education and even a college degree. What used to be called distance learning or correspondence school, has been changed by the technology into a reasonable substitute for classroom attendance. In genealogy, there is a flood of classes and learning opportunities online. The availability of a way to connect to the Internet virtually anywhere at anytime is having a huge impact on me and I am sure on the rest of the world also, genealogically and otherwise. It is more than convenient to be able to carry my entire genealogy file, including documentation and sources, around in my pocket. In addition, I can access the entire Internet in an instant from anyplace I happen to be. EBook readers are revolutionizing the printed book industry. 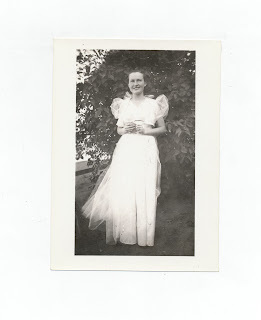 It is only a matter of time before genealogy materials are likewise available in digital format. Genealogy usually deals in large numbers of documents and images. The ability to share and send large files from one place to another almost instantly is changing the way I view my data files. I can easily share hundreds of images online with my family in a matter of minutes using a program such as Dropbox. This type of program will continue to evolve with even more features in the near future. The availability of high quality digitizing equipment is spurring the vast increase in online images. All of these and others will continue impact us for the foreseeable future. In traveling around the country giving genealogy presentations, I have experienced a wide variety of equipement failures and lack of Internet connectivity. Since my primary computers are Apple OS X based, I always have to worry about connectivity issues. It seems like each time I run into a problem, I add one more level of equipment and possible backup. For example, for my recent presentations at RootsTech 2013, I came prepared with my MacBook Pro laptop, a Toshiba Windows 8 laptop, a flashdrive with my entire presentation, connectors for RGB (DB15 to DVI) and HDMI, and a number of cables including a surge protector and various charging cables for iPhone, iPad and the laptops. This has become my standard equipment. Not only do I have to be ready for the presentations, I need to make sure I can use and charge all my devices during the time I am away from my home office. Originally, I liked to do all my presentations live online using an Internet connection. However, in Springfield, Illinois, although I had access to two different WiFi cards and the hotel WiFi, none of them worked and I lost connection with the Interent in the middle of a presentation. I have learned from that experience and from many others that I cannot rely on having an Internet connection outside of a few very limited venues. This is the case no matter how adamant the conference organizers are that they have a good Internet connection or that their equipment was just tested the night before. 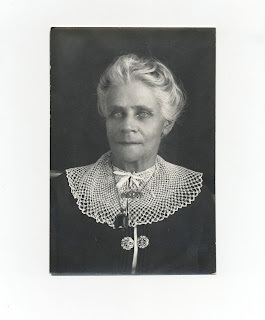 For that reason, about a year or so ago, I began to make PowerPoint presentations for all of my classes except those at the Mesa FamilySearch Library, where the connections are fairly predictable. In some cases, I have planned to do the presentation from a live connection, but had the PowerPoint presentation as a backup. Using a PowerPoint is both confining and liberating. My wife likes to point out that having a PowerPoint keeps me on track for the presentation and moves through the information in a more orderly fashion. At the same time, I chaff at the confinement and lack of spontaneity of a PowerPoint presentation. Now, I almost always have my entire presentation on a flashdrive for the eventuality that my computers do not work with the location's pre-setup machines and I have to use their computers. I am certainly not new to PowerPoint presentations. I have used the program since it was introduced back in the dim past of computers. There are several options to using Microsoft's program, but I have found that there is always a slight chance of failure of compatibility if I branch off into another program especially if I am forced to use the facility's computer. I was looking at a presentation that I did about a year ago and I realized that using the program and thinking about what the audience is going to see, has dramatically changed how I design my slides and what I say. The biggest problem is keeping the slides synchronized with my every changing presentations, since I never say exactly the same thing twice in row. Another challenge is the change in technology. I have had online websites change during the time I was creating the presentation and it is not unusual for their to be several changes over the lifetime of one presentation. I always have to go back and carefully review the slides to update any screenshots I am using. I must say that I have seen some truly awful PowerPoint presentations (including a few of my own). The biggest problem is usually too many words on one slide. I work on that every time I review an old presentation and update it. I am ambivalent about using "cute" or funny illustrations. In most cases, I feel that they detract from the subject matter of the presentation, but can be used effectively if they don't overload the viewers. I also think it is poor practice to stand in a presentation and read the text from a long slide. The slides should reinforce the presentation, not become the script. I am still very much in the mode of evolving my presentations and I hope to get better as time goes on. One done and one to go. Last night, 24 April 2013, we had a successful webinar on the FamilySearch.org Research Wiki at the Mesa FamilySearch Library. Once the webinars are presented live online, they are recorded and added to the webcast library. Right now, we have 19 webcasts in the library on a variety of subjects, including three of my own. We have five more webinars upcoming every Wednesday evening through the entire month of May. As I said, in each case, the recorded webinar is then added to the webcast library for further viewing. My next webinar will be Wednesday, 1 May 2013, at 7:00 pm Arizona Time (Pacific Time) with the title of "Introduction of Online Genealogical Resources." and will shortly be posted to the list on the Mesa FamilySearch Library website. Microfilms and microfiche are available for viewing at the nearest FamilySearch Center. For information see: Ordering Microfilm or Microfiche. I have no idea why this has occurred, but I can guess that it has something to do with the monetization of genealogy records worldwide. Because the large commercial genealogical record websites are in essence in a bidding war for obtaining records, political jurisdictions realize that their records can be a revenue source and they are unwilling to "give" the records to FamilySearch so that they can be viewed for free online, thereby denying the politicos their revenue. This is just a fact of life. There is however a valid question as to whether or not the benefit derived by the political jurisdictions is worth the loss of access and preservation of the records. Additionally, there may well be either cultural or social reasons why the political jurisdictions do not want to deal with an organization sponsored by a Church. Especially, if that Church believes things contrary to the state religion in any particular jurisdiction. There may, of course, be some entirely different and perfectly valid reason for removing the records. In any event, whatever the reason, all of the French records in the Historical Record Collections have vanished from FamilySearch.org. As I get time, I will be working on this series of online video on various topics. If you would like to suggest a topic, please feel free to do so. I am still working out some of the formatting and such so the videos are a little rough right now. Thanks for watching. The Mountain West Digital Library is a central search portal for digital collections about the Mountain West region. We provide free access to over 700,000 resources from universities, colleges, public libraries, museums, historical societies, and government agencies, counties, and municipalities in Utah, Nevada, and other parts of the U.S. West. The African Online Digital Library (AODL) is a portal to multimedia collections about Africa. MATRIX, working in cooperation with the African Studies Center at Michigan State University, is partnering with universities and cultural heritage organizations in Africa to build this resource. Plans are underway to add digital tools in order to enable scholars to work with and add to these materials. The California Digital Library, In partnership with the UC libraries, has continually broken new ground by developing systems linking its users to the vast print and online collections within UC and beyond. Building on the foundations of the Melvyl Catalog, and has developed one of the largest online library catalogs in the country. The British Library Online Gallery has over 30,000 items from their collections including hundreds of historical maps. British History Online is a digital library containing some of the core printed primary and secondary sources for the medieval and modern history of the British Isles. Created by the Institute of Historical Research and the History of Parliament Trust, it aims to support academic and personal users around the world in their learning, teaching and research. The Cornell University Library, Windows on the Past, is an extensive aggregate of the University's online collections. The European Library is Designed to meet the needs of the research community worldwide, their online portal offers quick and easy access to the collections of the 48 National Libraries of Europe and leading European Research Libraries. Users can cross-search and reuse over 16,696,516 digital items and 115,623,713 bibliographic records. We even have local digital library portals such as the Greater Phoenix Digital Library. It is likely that there is a digital library portal in existence or being started in your own area. Do a Google search on "digital library" and include your local city or county name. For example, searching in Utah, I find the Pioneer, Utah's Online Library. Right now, the digital library concept is evolving rapidly. There are online services with different methods of logging in, subscribing, or checking out books online. One of the most used services is OverDrive.com. With more than 1,000,000 titles from 1,000+ publishers, OverDrive claims to host the largest digital library catalog of eBooks, audiobooks, music and video in the world. But OpenLibrary.org also makes the same claim. But whatever, there are more and more books and materials coming online every day. Unfortunately for the user, the different services all have a complicated set of use restrictions and methods for viewing or checking out materials. It may take you some time to figure out how to use some of these services. We recently found ourselves driving back and forth to Utah and discovered that we could download audio books from our local library to listen as we drove. If we ran out of books, we could check the one's read back into the library and check out more, even while we were in Utah. Over these past years, this book has become the "test case" for our local scanning project. The book is listed in the FamilySearch Library catalog, but has never appeared in digitized form. There are no copyright issues with this particular book, since I personally have the original copyright in my possession and signed all the proper documentation to allow the book to be digitized and put online. At RootsTech 2013 recently, I once again spoke with the FamilySearch digital book team and was assured that this delay was being resolved and that the hundreds of books scanned by the Mesa FamilySearch Library volunteers would soon start to appear in numbers. I have closely followed all of the details of the problems both in Mesa with the scanning process and at the FamilySearch end with the cataloging and other issues. But the end result is simply that the books are sitting in a file somewhere and have never made it to the online collection. It is apparent that the digitizing projects, those from FamilySearch, and other repositories have undergone a huge challenge. Not only are there a multitude of legal issues, but there are challenges with the production cycle of moving the book from a digital file into a complex online file system with cataloging and other requirements. It is not that I am especially impatient since I haven't revisited this issue for a couple of years, but I suggest that the collection could be expanded at a slightly faster rate if some of the details of the process were streamlined and not made more complicated. As an attorney, I am fully aware of the obstacles that a legal department can impose on an apparently simple process. But when there is no issue of copyright protection of the documents, it seems that using legal requirements as an excuse is just that, an excuse. As it is, I am not at all alone in this frustration. 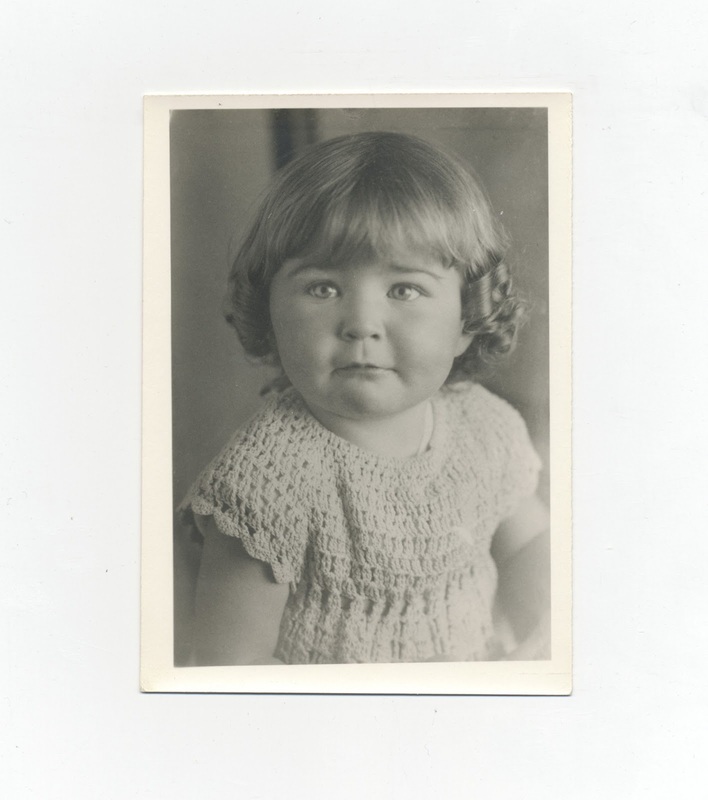 There are dozens, perhaps hundreds of other genealogists who have given their family histories to be scanned and are similarly waiting to see the online products. Let's see if I am writing this same post over again next year. 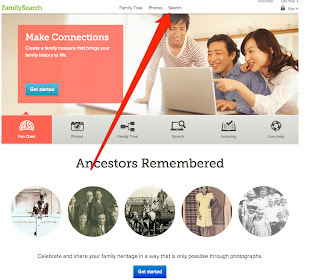 April 23 2013: Geni.com, the leader in collaborative family history, today announced the release of two major new features, Record Matching and Smart Matching™, which enrich family trees with relevant historical records and help users discover unknown relatives and ancestors, respectively. This will add significant new detail and color to the World Family Tree, a global initiative by Geni.com that shows how everyone in the world is related, and will help members learn more about their shared ancestries. I have spoken and written about these technologies recently and they add a tremendous value to using the services. In preparation for a series of classes I am teaching in May at the Mesa FamilySearch Library, I have been re-reading and studying Val D. Greenwood's book. In addition, I have been referring to The Source. The Source: A Guidebook to American Genealogy has been completely incorporated into Ancestry.com's online Wiki, word for word. The Ancestry.com Wiki is a free part of the Ancestry.com websites, so it is completely searchable and available anytime I am sitting at my computer. It is also largely ignored by the greater genealogical community. You might want to check the website for any updates in the links or whatever. During the month of May, beginning on that first day, I will be teaching a total of 40 classes, including the research classes I mentioned above. I hope I don't wear out my welcome at the Mesa FamilySearch Library! You can check the website to find out when and where the classes will be taught or you can just show up on any weekday except Tuesdays (for some reason?) and come to a class starting around 10:00 or 11:00 am. Now, you know part of the motivation for re-reading the Greenwood book and studying The Source. One of the people in one of my classes recently asked a question: Why don't you write about the things you teach in your classes? That question started me thinking since that is what I thought I was doing. But I realized that writing a blog and teaching a class are for me two different venues. Since the two upcoming webinars will be recorded and online as webcasts on the Mesa FamilySearch Library website, there is growing number of video offerings recording my classes and thoughts. You can also see the videos on the RootsTech.org website, where my class on Maps and my Keynote address are online. After clicking on the Search tab, you have a link directly to the Wiki! We are no worse off than we were before. I also received so feed back that my quoting of Alexa.com was not accurate. Not that my quotes weren't accurate, but that the site is "unreliable." I am promised some more accurate data showing an increase in the traffic on the site. Hmm. I guess I will return to this issue in a while after things have calmed down.